Chicago Teachers Union strike at CICS charter schools enters week two | Fight Back! 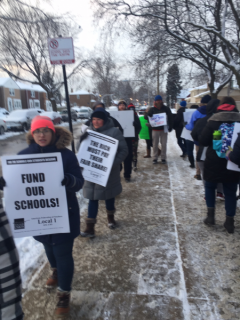 Chicago, IL - The strike by members of the Chicago Teachers Union (CTU) at CICS charter schools entered its second week, February 11. 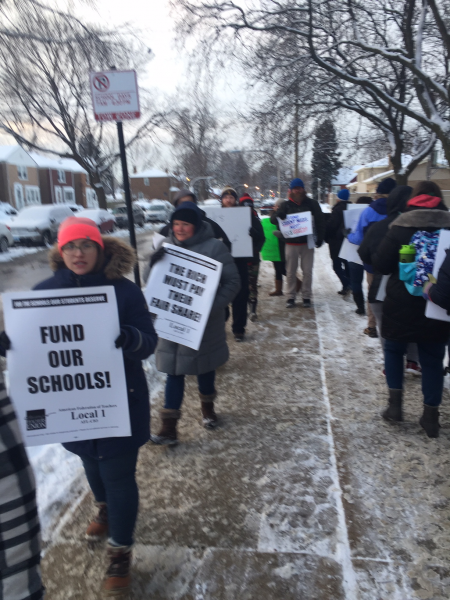 More than 175 unionized educators at four schools run by charter operator CICS - Chicago International Charter Schools - are walking the picket lines for better conditions, better pay and the schools their students deserve. The strikers are keeping their spirits high, despite more than a week of picketing in the cold and dark.